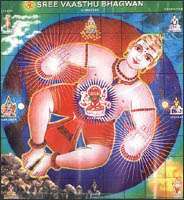 Vaastu is the science of direction that combines all the five elements of nature and balances them with man and materials. The word 'Vastu' was originated from the term 'VASTOSHPATI' which had its usage in the Rig Veda and is said to render happiness, prosperity, and protection in life and after death too. It is all about the interaction of various forms of best effect on a living person. According to vastu sastra, the world comprises five basic elements known as the pancha maha bhoota. Out of the eight planets, ours has life because of the presence and balance of these five elements. Feng Shui is the ancient Chinese practice of harnessing the natural forces of nature, to promote prosperity, harmony and vitality.For several centuries, Chinese emperors had been using Feng Shui to achieve their power, prosperity, health and harmony. To strengthen the emperor's power, Feng Shui was kept a secret to the commoners and only elite persons got access to these doctrines.This Chinese art of placement can help you to create harmony, balance and positive energy in your environment through the proper placement of furnishings, art, mirrors. objects and plants. The Chinese believe the interactions of the five elements - earth, wood, fire, metal and water - can be combined in different quantities to create all the permutations that are found in the forces of nature. A significant portion of Feng Shui practice is based on interpreting how these elements interact in the physical environment to create good or bad luck. Shri Manish Kashinath Potdar, is a well known personality, not only in his hometown Pune, but also in many parts of India. He also has to his credit, clients from various parts of the world, like the United States, Australia, United Kingdom, South Africa, Canada, Norway, UAE, Mauritius, Italy, Tanzania, Germany, Singapore, Thailand & Spain. He is a devotee of Shri Sai baba of Shirdi, and believes that that gives him the inspiration and clarity of mind to do his work well. He is an avid reader of the ancient Indian writings on the effects of mantras, use of precious & semiprecious gemstones, Vedic astrology, & palmistry. He integrates modern scientific knowledge like aura scanning with the ancient writings in his practice. Mr Potdar has an extraordinary talent for vastu and fengshui. After we rearranged things in our house as per his recommendations, we saw some significant financial gains immediately. His astrological predictions are also very accurate. I have consulted with him on several occasions and will continue to do so. I recommend him whole heartedly!